Racc. 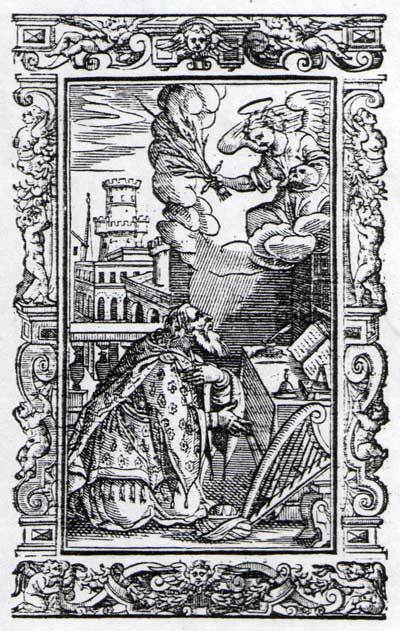 Gen. Liturgia V. 35). Pjetër Budi (1566 1622), the Bishop of Sapa and Sarda in northern Albania, was intent on seeing the southern Balkans freed from the Turkish yoke and did his best to promote an armed uprising. He is a noted and respected figure of Albanian cultural history. In addition to his political and religious activities, he published four books in Albanian, a rarity at the time, and was the first Albanian writer to publish a substantial amount of poetry in Albanian, some 3,000 lines of it. In the following letter to the Vatican, he exposes his strategy for an uprising in his homeland. exposing his project for an armed uprising in Albania. Report made to the Most Illustrious and Reverend Cardinal Gozzadino from the Bishop of Sapa and Sarda, Pjetër Budi. In Rome on 15 September 1621. I, Pjetër Budi, Bishop of Sapa and Sarda and Your Excellency's most humble servant, would like to give you a full account of my homeland, the province of Albania. I shall begin with the reasons that caused me to come here and shall then continue with a description of the country, setting forth with what ease His Holiness could, with your protection, with a little assistance and with the help of God, take possession not only of Albania, but of all of Macedonia and of the other surrounding provinces belonging to the sultan. But everything depends upon the secrecy, the rapidity and the method of implementation in line with what was proposed by the Knight Bertucci (1) to our lord (the pope), to His Excellency Cardinal Lodovisio and to Your Excellency, delegates to His Holiness on this question. I was born in Pietra Bianca (Gur i Bardhë), a fort in Mat in Albania, as a descendant of the ancient lineage of Budi of Macedonia. I spent almost all of my youth in the service of various bishops in our country. Up to the age of twenty-one, I received from them the modest education I have acquired. At that time, I was made a priest and was immediately sent to the province of Serbia (2) in order to serve the Catholic population there. There I remained for about twelve years until the last provincial synod was held in the said province of Serbia by the late Msgr Tomasso Orsino, Archbishop of Antivari (Bar), at which, with the assent of all the clergy and the people there, I was made Vicar General of Serbia. I was later confirmed in this office during the visit of Msgr Bizzi, the successor of the said archbishop. 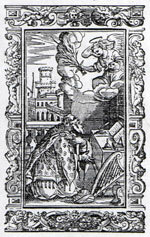 For a period of seventeen years in the exercise of this office and for as long as I was able, I devoted all my energy to giving assistance and comfort to those people and to the local priests themselves, by exemplary religious conduct and by continually writing religious books in their language, both in that of Serbia and in that of Albania, as can be seen today throughout that region. I was recently asked on several occasions by certain leaders of the peoples of Albania and, in particular, by two Muslim chiefs who are very close relations of mine and are leaders of all the region in question, to come to that area to meet the said Knight Bertucci. He serves as our Procurator General for all the Christian population, both in the Kingdom of Bosnia and of Albania. With him, I endeavoured to make their wishes known to His Holiness and to the other Christian leaders. Considering also the notable harm done to the Holy Catholic See by the lack of respect which some of those clergymen give it and wishing greatly to be able to inform His Holiness in order for him to remedy the whole situation, I set off of my own accord to come to the fountain of grace and mercy in the year 1616. As soon as I got here, I succeeded with much entreatment and many petitions in informing the late Pope Paul V, but since I did not have much experience with matters in Rome and since I could not find the said knight Bertucci, who had been sent on his order to Germany to His Imperial Majesty in connection with the same matter, and since I had no other friends here to support me, I was not able to achieve anything at the time. The province of Albania is situated in the most distant region of Macedonia, having to its west the Adriatic Sea. To its east it is bordered by Greece and to the north by the Serbs and Bulgarians. It is all ruled by the Turks and in some of the lower regions it is badly oppressed. This province has fourteen bishoprics which have all been vacant and without pastors for years now, with the exception of Stephanensis and Albanensis. Two others have recently been filled, the one by me, unworthy as I am, and another one in Alessio (Lezha) by a discalced friar (3) from Dubrovnik. Because these people have lived for such a long time without spiritual governance, they have become so simple and ignorant that they are abandoning their Catholic faith more and more every day. Some of them have turned to the Schism of the Greeks (4) and others to Mohammedanism, in particular those whom have been particularly subjected to Ottoman tyranny. Those who are not so tyrannized live as Catholics, the Kelmendi in particular, who inhabit the mountains above Lake Shkodra and consist of six thousand warriors. These are brave men and determined people whom the Turks have never been able to dominate or get tribute from since they always go about with weapons in their hands. Like them are their allies, the Kuçi and the Piperi, together with the Markovici, who have just as many courageous men at their disposal. Aside from these, there are many other peoples and areas around Shkodra which all desperately want to see themselves freed one day. In another region, towards Croia (Kruja), are the Dukagjini, who rebelled against the Turks thirty years ago. They also consist of the same number of six thousand warriors, all with arms. They are as determined and brave as any people one could find on earth and are very skilled in military matters. They live in the mountains above Lezha between Shkodra and Kruja. Up to now, they have done great damage to the Turks with their continual incursions, destroying Turkish castles and lands. They have been victorious in all of their battles with the Turks, their principal enemy, and are all Catholics and very devoted to the Holy Church of Rome. Towards the border of Macedonia and Bulgaria, there is another region of peoples which is called the Scanderbeg Country, i.e. Ematia (Mat), Benda (Bena), Corbini (Kurbin), Tamadea and Cermenica (Çermenika) situated in the mountains above Kruja and Elbasani (Elbasan), although they are mixed with Muslims. Most of them, however, are Christians and are no less strong and warlike. They are all armed and consist of five thousand warriors, all of whom are most desirous of seeing the flag of some Christian prince flying over them one day, who would assist them however little, and join and unite with them against the Turks to throw the latter out of the country, just as they had hoped in the past when the Marquis of Santa Croce took Durazzo (Durrës). At that time, the said peoples thought that more action ought to be taken and, all at once in one night, they arrived at the coast with arms in hand. The Turks discovered them in the morning but, realizing what they were up to and seeing that there were many armed men among them, they did not dare to go out and attack them. Indeed the Turks withdrew out of fear that they might be massacred. But when the said marquis left the country, they also retreated to wait day by day for another opportunity to fulfil their desire. They will rise up when they see that some prince has come to raise his flag on one of the main castles of Albania and, in such a case, 30,000 courageous Albanian fighters would rise to their feet. The chiefs of these peoples are for the most part relatives of mine and very close friends, as are the main leaders of the Muslims in that country who have betrayed their souls. The main chiefs have discussed the easiest method of taking over the main fortresses of the country, the said knight Bertucci being fully aware of the method and the time. As a faithful friend of mine, compatriot and as the person who best understands all the necessities involved in such an undertaking, he informed His Holiness and Your Excellency as much as necessary about this matter and, in this connection, I have full confidence in his words, as do all the aforementioned peoples. Thus, to carry forth my proposal, I would like to inform Your Excellency that when I left these peoples, both the chiefs of the tribes and some of the Turkish leaders entreated me, as I said, to convey to His Holiness or some other Catholic prince their desire that you accept to protect them and come to their assistance with soldiers and with other necessities of war. As to sustenance, there are abundant quantities and no need to bring food in. All they need is a prince to support them with his army and in particular with his military commanders and munition because, in numbers, these peoples are sufficient to resist the Turkish enemy with their own forces. Nonetheless, for greater security, they would need a prince who would himself be their commander and leader and could supply them with the necessary goods. Since then, three years have passed without these peoples having received any reply with regard to this matter and their desire. Recently, they sent me as a student one Nicholas Leka from the Bishopric of Sapa, who knows well the towns of Shkodra and Lezha and who has good relations with the aforementioned people of Kelmendi and Dukagjini. Your Lordship can learn from him as well as from me, by what order he was sent to me and what their desire is. There are certain other peoples on the plain of Shkodra, the people of Drivasto (Drisht), Pieterspani (Pjetërspan), Zapatensi (Sapa), Sardanensi (Sarda), Lezha, Kruja, Durrës, Issemi (Ishëm), Pretia (Preza), Andronichi (Ndroq), Albassani (Elbasan) and many other places and castles, great in number and all Catholic. Although there are Muslims among them, they are Catholic in the majority. They are all armed and amount to eight thousand fighters most desirous to receive a bit of aid in order to be freed. This is true not only of the Christians, but also of the leaders of the Muslims and of those who deny the faith because they too cannot put up with the tyranny of the Turks. As such, they all want to be liberated once and for all from such great suffering, or to die arms in hand. Thus, I am sure that anyone knowing what kind of country Albania is, what kind of people the Albanians are, with what ease he could acquire the country and how very easily he could take over the main Turkish fortresses, would certainly not allow even an hour to be wasted in undertaking this holy mission, if he were to know the safest and easiest way of making himself ruler of the said province. And anyone who made himself master of the said fortresses, would also be master of all of Macedonia and of Bulgaria and Serbia, and even of Greece. The destruction and ruin of the sultan consists of taking Albania away from him. From no side can the sultan be so easily harmed and annihilated as from this region. There are many reasons for this. First of all, the fortresses which will be captured by the Christians are impregnable and can be kept up with few troops. They cannot be taken for as long as there are munitions and supplies inside them, neither by undermining them, nor by assault, nor by any other means. These fortresses will be captured in intervals of several months in order to assist and furnish them with all necessities. These fortresses are close to one another such that our aid can reach them in one day and one night. And if the Turks do not come back by sea to recuperate the said fortresses, they would have to travel a long way. And even if they did come back, they would have no port in which to disembark their troops because all the ports will have been taken and occupied by the Christians and, what is more, the Christian fleet will prevent them from sailing in these regions. The Turks will not be able to return overland at all because in the mountains on the border between Albania and Greece, there are narrow gorges and canyons everywhere. Even if the whole world showed up, it would not be able to get through to do harm to our country. So narrow are the passes, so rugged are the mountains in all these regions, and with such gorges that one hundred men would suffice to defy and resist 10,000. In addition, it is a fertile country with great quantities of all sorts of foodstuffs. The temperate climate is as excellent and healthy as any on earth and the inhabitants usually reach the age of 90 and 100. There are delightful areas with all sorts of game, very good wines, oils, excellent wheat and large numbers of animals. They are full of rivers, forests and lakes abounding in fish of every kind. In short, both in the interior and on the coast it is everywhere an earthly paradise. The present moment is the right time for carrying out this mission, for the Turks have not supplied the country because they have all left to make war on the Poles. If this mission were to be undertaken, it would also save the Poles and their king, who would no doubt hear of the undertaking in Albania and would persuade the Emperor to send arms against the Turks. The Poles would thus not sue for peace, as they will otherwise be forced to do. The aforementioned peoples are waiting for me personally to tell them what decision His Holiness has taken with regard to their desire and have asked me to return with a positive answer. As such, I must go back and console them with regard to the good and holy intentions of the supreme and best pontifex. He has put the matter into the hands of the Most Illustrious Cardinal Lodovisio and Your Excellency so that it be resolved positively. Such news would be a great joy to these peoples. In order for this holy undertaking not to be discovered by the enemy, I will take back to these peoples whatever full indulgence and blessing His Holiness would wish to give the country, and I will distribute my books, which His Holiness ordered to be published, so that my arrival does not cause any suspicion. I will also take some other honours which, when the time comes, will be requested of His Holiness when I am ready for departure. In short, as soon as I arrive in the country, the whole matter will be set in motion again. I can assure His Holiness that at any command, we will all be willing to die for our sacred Catholic faith. With divine intervention, however, the fortresses can be taken without the loss of blood because we will take them in collaboration with the Muslims inside the fortresses, with whom we are already in contact and everything will be accomplished without the use of arms. As soon as the fortresses in question are in our hands, the galleys of His Holiness together with those of Malta will safely unload the first aid and soldiers to guard the fortresses. As soon as this is accomplished, the whole fleet of the Catholic King (5) and of the other Christian princes will arrive, as Your Excellency has been well informed by the knight Bertucci, for it is essential in this undertaking that we have reliable people who can keep secrets and who know the country well. Since the knight Bertucci will have to go to Malta on behalf of our Lord to give requisite orders to the Grand Master personally, because this is where the greatest secrecy is required, I will have to have N.C.F with me. He is well known by these peoples and they trust him as they do the knight himself, his uncle. He is informed of all the agreements and knows those people participating in the undertaking. He is experienced and knows the country well because he has been to the region before and because his ancestors come from Bosnia. Once everything is in order, we will send this gentleman to assist the fleet which will arrive to ensure the safety of the fortresses, in addition to other reliable men who will have to be sent before and after the deed. I would therefore beg Your Excellency to deign to take everything into consideration and to inform our Lord so that he take the sacred resolution because, as soon as this undertaking is accomplished, all of Christendom will hasten forth to assist him. But the start must be made with great secrecy and without any war cries. Once the two main fortresses of Albania have been taken, His Holiness will be lord of the whole country, in which the great amount of booty and spoils to be gained from the extremely rich Muslims in Albania will amount to several million pieces of gold. It will thus be a good down payment to be spent towards the advancement and profit which will come about. In addition to this, other treasures which now lie hidden in the province of Albania will be discovered. These consist of gold mines as yet untouched, which will prove extremely fruitful and valuable to the prince in question. Most important of all is that I set off as quickly as possible in order to save time and put things in order for this undertaking, all of which is for the glory of God, for the expansion of the Holy Catholic faith, for the service of Christianity and for the destruction of Turkish tyranny. With this, I humbly kiss the hand of Your Excellency. Bishop of Sapa and Sarda. The people of Kelmendi who live in the mountains above Antivari (Bar) and who extend up to Risano (Risan) have been in almost constant rebellion against the sultan and consist of two thousand courageous warriors. Their main towns and lands are: Spizza (Spici), Sossena (Sozina), Cavallo, Micholich (Mikulici), Sabek (Zupci), Tigomille (Tudjemili), Sossano (Šušanj), Nechagia, Soda (Poda), Doprovada (Dobravoda) and Sagradie (Zagrade). No. 2,000. The people of Markovic are situated between Bar and Ducigno (Ulcinj) and in three hours, if necessary, they can assemble 1,500 courageous men. Their main lands are: Tissigno, Comina (Komina), Rassa, Cugna (Kunje), Gorana (Gorana), Mechermadi, Povara, Camti, Vellesolo, Dugenine and Megorici. No. 1,500. Thereafter come the people of Montenegro, who are always in rebellion against the sultan in their mountains and consist of a number of 6,000 able bodied men. Their lands are: Bollensich, Dupillo (Dupilo), Bercolle (Brceli), Cetigne (Cetinje), Seletta, Brucigi, Ichlichi (Teklici? ), Zuza (Zuze), Bilizza (Bjelica) and the two villages of Bilopaulich (Bjelopavlici). No. 6,000. Thereafter come the people of Piperi who live above the bank of Lake Shkodra and consist of 2,000 courageous men. Their lands are: Zuzi (Kuç), Bratonisi (Bratonosic? ), Piperi (Piperi), Castrati (Kastrati), Scarolli (Shkreli), Hotti (Hoti), Tusi (Tuz), Peterson (Petroshan), Coplisih (Koplik) and Bobrant (Pobrat). No. 2,000. The people who live near the bridge and around Shkodra consist of 1,000 courageous warriors. Their lands are: Schirosi, Risani, Bacina, Cestan (Shestan), Murichi (Murici), Pintichi (Pincici), Brinsih, Livari (Livar) and Carazzi (Krroq?). No. 1,000. The people living in Dagno (Deja) consist of 1,000 warriors who come from Buherpini, Iuncali (Juban? ), Saccolbi, Musselino (Myselim) and Deja. No. 1,000. The people of Trunasi (Trush) who live between Shkodra and Lezha consist of 1,000 warriors. Their villages are: Sisserich (Shirq), Trumsi (Trush), Masanti (Mushan), Saccoli, Lumiz, Cacharich (Kakarriq) and Renesi (Renc). No. 1,000. The people who live near Ulcinj and around the Bojana (Buna) consist of 3,000 warriors. Their villages are: S. Nicola (Sveti Nikola / Shënkoll), Pulegni (Pulaj), the two villages of Rezzi (Reç), Sogani (Zogani), S. Giorgio (Sveti Djordje / Shëngjergj), Bripa, Calanze, Sassia (Šas / Shas), Braisa (Brajše / Braisha), Bardagni and Matrichian. No. 3,000. The people of the province of Lezha consist of 2,000 warriors who come from Lezha, Zodrina (Zadrima) and Sabbalensi. No. 2,000. The people of the province of Ducagini (Dukagjin), who are in constant rebellion against the sultan, consist of 6,000 courageous warriors. These people live in the mountains around the town of Kruja and extend towards the town of Ocrida (Ohrid). Their lands are: Bendera, the Sim, Sumi, Homist, Idbal (Iballja), Fanta Picciola (Fani i Vogël), Fanta Grande (Fan i Madh) and Meredita (Mirdita). No. 6,000. Many other provinces follow in Epirus, such as Ohrid, Elbasan (Albassan), and La Vallona (Vlora), as well as many others which for good reasons are not mentioned here at present. Everything will come in good time, and in particular when God gives his blessing to this holy mission. Then we will see much greater movement among these peoples such as has not been described before (6). (2) The word Serbia refers here to Kosova, formerly known as Old Serbia. (3) i.e. of the Franciscan order. (4) i.e. to the Orthodox Church. (5) i.e. the King of Spain. (6) From: Relatione fatta all'Illustrissimo e Reverendissimo Signor Cardinal Gozzadino dal Vescovo Sappatense e Sardanense Pietro Budi, di Roma 15 Settembre 1621. Published in: Injac Zamputi (ed. ): Dokumente të shekujve XVI-XVII per historinë e Shqipërisë. Vëllimi III (1603 1621), Tirana 1989, p. 376 389. Translated from the Italian by Robert Elsie.